Some of my loved ones asked how I “helped” in the Philippines. It is a question that is hard to answer without sounding like BLSAM’s “intrepid global citizen”: the person who came prepared to “make a difference”. 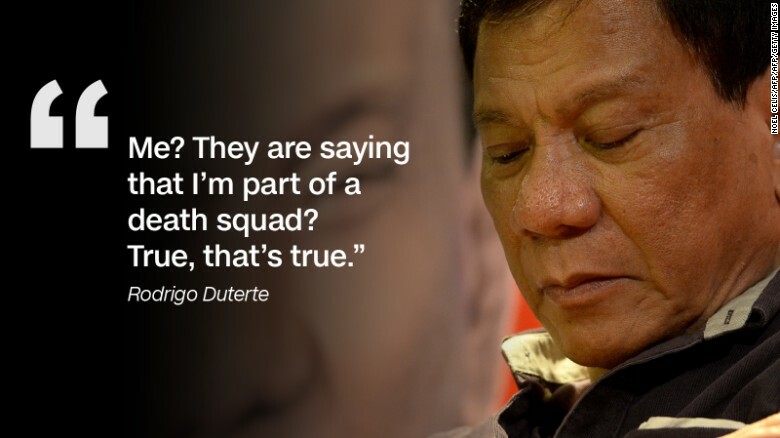 The truth is that no amount of education could have prepared me for the regime change in the Philippines. Under the newly elected Duterte administration, there have been over 2000 summary executions in the last two months. In a country where justice is “slow” and the prison system is one of the most overcrowded, trial by publicity has become the main method of usurping crime. I am referring to a president who publishes hit-lists and turns poor citizens into contract killers. In his profanity-filled speech to a crowd in the slums of Tondo, Duterte calmly explains “[i]f you know of any addicts, go ahead and kill them yourself as getting their parents to do it would be too painful”. In fact, the vast majority of summary executions have been performed by vigilantes, and on the streets of Manila lay corpses with placards that read “Do not follow me. I am a drug pusher/dealer” in Tagalog. With this blatant disregard for the rule of law, stakeholders are focusing on informing the public of the atrocities this government is committing, and making important links to the infamous Marcos martial law era. But you could only do so much condemning. The Philippine National Police are part of the death squad, the country has a dire journalistic impunity record, and so field reporting by other groups has been admirable and necessary. A report submitted by Father Amado Picardal shows that none of the 1424 suspects killed from 1998 to 2015 by Duterte’s former government in Davao were charged in court.” Another organization I met with, the Humanitarian Legal Assistance Foundation (HLAF), are working in conjunction with local governments for expedited due process through a jail decongestion project. HLAF Attorney Kim Claudio proposed that we visit some of the city jails to provide legal information to detainees and update some of them on their cases. He explained to me that many of the detainees wait years, sometimes decades, for their cases to be heard. Although detainees are presumed innocent in the eyes of the law, society tends to brand them as criminals because they have spent so much time in the penitentiary system. Shortly after our visit, photos of overcrowding in Quezon City Jail that showed inmates sleeping on top of other inmates made their rounds on international news and social media. I hoped that the public condemnation of abominable prison conditions would signal a turn of the tide, but now I am uncertain. After a promise to kill 100 000 criminals and “fatten the fish in Manila bay”, thousands of Filipinos continue to turn themselves in out of fear of being killed on plain suspicion. The rule of law is often seen as a starting point and a constant in theoretical work in law and political philosophy. However, in a country where the best human rights lawyers and advocates are put under heavy pressure by a state that promotes vigilantism, abuses power, and provides no chance for due process, it is difficult as an intern to know where to begin. I’ve read and watched debates on alternatives to the rule of law and international standards, but I had never worked alongside people struggling to uphold them until I came to the Philippines. I left Montreal on the day of the national election, without a clear idea of how hard it could get. Fortunately, I had the chance to work in solidarity with alternative law groups and an inspiring group of Ateneo Human Rights Interns, who all work relentlessly to hold the Duterte administration accountable, and who serve “the lost, the least, and the last”. 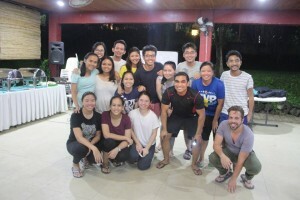 Human Rights Interns group Arawatan at a retreat in Batangas. Credit: The Ateneo Human Rights Center, August 4, 2016. Published by alexanderagnello on September 1, 2016 at 12:11 pm under In the field. 0 comments.